Pre-2013: Boston drafted Betts, a Louisville Slugger High School All-American, out of Overton (Tenn.) High School in the fifth round in 2011. The 18-year-old shortstop signed a hefty $750,000 bonus five minutes before the midnight deadline, electing to forego his commitment to the University of Tennessee. 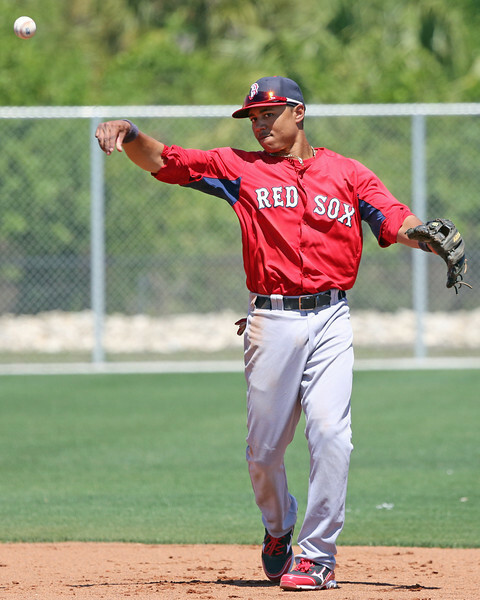 Betts reported to extended spring training in Fort Myers following the signing, and made his pro debut in the GCL that same year, getting two hits in four at-bats with a stolen base in what would be his lone game of the year. 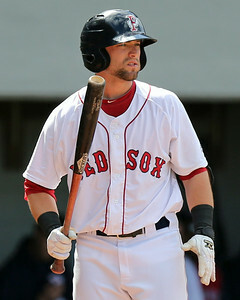 Last year, Betts was assigned to short-season Lowell. 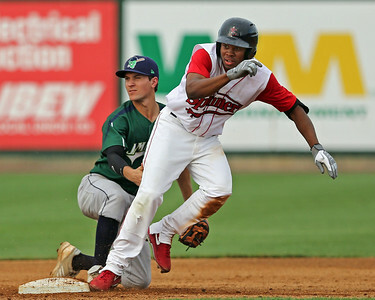 Betts, playing as one of the youngest members on the Spinners at 19, split his time between shortstop and second base in his first 18 games in the New York Penn League before the organization permanently moved him to second in early July. 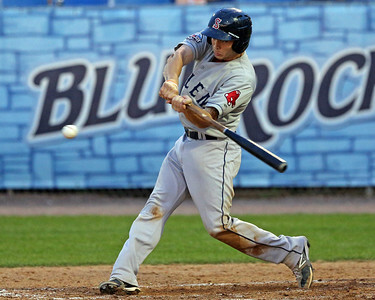 Betts committed six total errors while serving as Lowell’s shortstop in 2012, three in his final game at the position. Coincidentally, Betts displayed minor improvement at the plate following the positional change, as he hit .275/.378/.319 in 218 plate appearances after the transition compared to his .246/.274/.275 in 74 plate appearances prior to the move. For the season, Betts batted .267/.352/.307 with eight doubles, one triple, 32 walks, 30 strikeouts and 20 stolen bases, and put himself on the edge of the radar as a player to watch in 2013. Season in Review: Britton’s season got off to a rough start both on and off the field after he was arrested for allegedly driving under the influence during spring training, and then struggled in his first month and a half in Portland. Over his first 48 innings, Britton had a 4.69 ERA and was allowing over a hit per inning, although he still had 44 strikeouts, showing that his stuff was still there. Britton began to turn things around near the end of May, throwing the ball as well as he has in his entire career. Over his final eight starts in Portland, he posted a 2.32 ERA, with eight of the 13 earned runs he allowed in 50 1/3 innings coming in one game. He went at least seven innings four times during that stretch and not allowing a run four times. 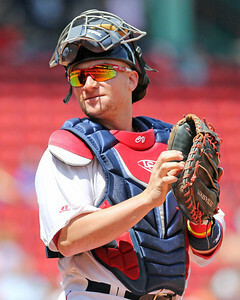 He was promoted to Pawtucket on July 9, and appeared in only one game for the PawSox before he got the call to Boston on July 14. 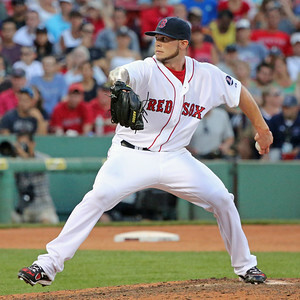 The Red Sox made Britton a reliever for the first time in his life, and he responded by not allowing a run over his first nine innings over seven appearances, used mostly in low-leverage situations. His success dwindled later in the season, as he gave up nine runs in his final 12 innings and struggled with his control, but Britton proved that he can get major league hitters out. 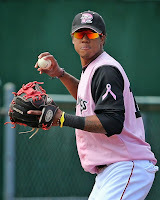 Season in Review: Following a successful professional debut in 2012, Margot was assigned to the short-season Lowell Spinners for the first state-side assignment of his young career. While he did manage to get a hit in 12 out of his first 15 games, he got out to a relatively nondescript start, hitting .254/.343/.307 through July 24, when a hamstring injury laid him up. After a DL stint, he returned on August 16 with a vengeance, showing glimpses of his potential with a .447/.475/.658 line over his first eight games back. He came back down to earth to close the year (.121/.216/.152 in his final nine games), but while his overall numbers don’t necessarily pop, the 18-year-old held his own during an aggressive assignment, especially when one considers he faced older pitchers in all but two plate appearances this season. Playing with older competition did affect his game in other ways as well: after stealing 33 bases on 42 attempts last year, he had just a 68 percent rate this year, swiping 19 in 28 attempts. He also showed little power—his lone home run was of the inside-the-park variety. Xander Bogaerts has reportedly been installed as having 15-1 odds to win the World Series MVP this year, and we've heard many writers comment that that bet would be a great value proposition. Xander Bogaerts is 15/1 to be MVP of the Series. How is that not worth a $50 flyer? Could anybody have pegged that as even a one-in-a-million possibility a year ago? But here we are, the Red Sox slated to start Game 1 of the Word Series on Wednesday night, and Bogaerts primed to play a big role in the series. It's the essence of what makes baseball -- and following prospects on their climb up the minor league ladder -- so riveting. Season in Review: Coming off an impressive 2012 season, 2013 did not start off as planned for Brentz, who missed much of Spring Training recovering from an injury due to an accidental gun discharge. Brentz was ready for the start of the year, however, and he was his typical, power-hitting self, putting up a .272/.321/.487 line with 16 home runs in 75 games through July 5, almost perfectly in line with his career averages. On July 5, Brentz injured his knee sliding into second base and suffered a torn meniscus, leading many to think his season was over following surgery. 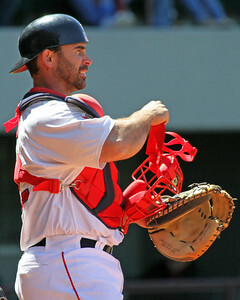 But after healing rapidly, Brentz joined the GCL Red Sox on a rehab assignment in late August and returned to Pawtucket on August 25, homering in his first game back. Post injury, Brentz only appeared in seven games for Pawtucket, hitting .167 with a home run and three RBI, then hitting .118 in eight playoff games. 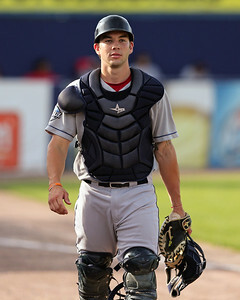 Despite the shortened season, Brentz was named a 2013 SoxProspects.com All-Star, as his 19 home runs tied for the system lead and his .487 slugging percentage good for third. The Dominican Winter League began this week as offseason baseball kicked into full swing. This week's roundup covers the period of October 14-20. The Surprise Saguaros went 4-2 this week, and are currently on a three game winning streak. 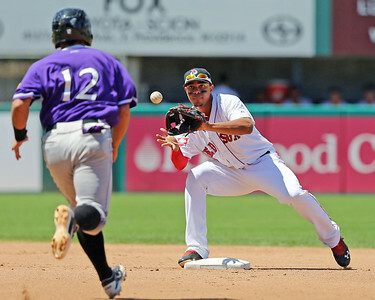 Mookie Betts appeared in three games this week, going 2 for 8 with a double, RBI, two runs scored and a stolen base. Fellow infielder Garin Cecchini (pictured) had a nice week, going 6 for 15 two doubles, two RBI and four walks in four contests. Season in Review: Just 17 until the very last day of his season, Rijo, who signed out of the Dominican Republic in July 2012, jumped straight to the GCL and held his own. The 5-foot-11, 170-pound second baseman had team-highs in runs (28), hits (46), doubles (15), RBI (20), and steals (15). Rijo’s season was punctuated by a monster 16-game stretch in July, during which he hit .415/.508/.585 with nine doubles and nine walks, and he hit .299/.373/.416 in his final 43 games. Rijo’s GCL efforts were enough to merit a three-game stint with the Spinners in September. He went 5-for-14 with a double and triple, as well as at least one hit in each game. Season in Review: Diaz got a late start to his 2013 campaign, not making his debut until May 27. He showed some rust to start, as the 21-year-old pitched to a 4.55 ERA and a 1.63 WHIP in 27 2/3 innings over his first five starts with Greenville. But things clicked in late June for the Venezuelan, and from his start on June 25 onward, he was arguably the best pitcher in the system. In his 10 starts for the Drive before a promotion to Salem on August 20, he allowed just 38 hits and 11 walks in 62 innings, posting an 0.87 ERA and striking out 63 hitters. He continued his dominance in the Carolina League, where he surrendered two runs while striking out eight and walking four over 12 innings, then threw eight shutout innings in his lone start in Salem’s five-game sweep through the playoffs. 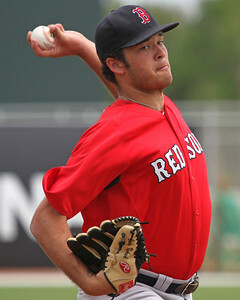 Over the course of that run, he was named the SoxProspects.com Pitcher of the Month for both July and August. 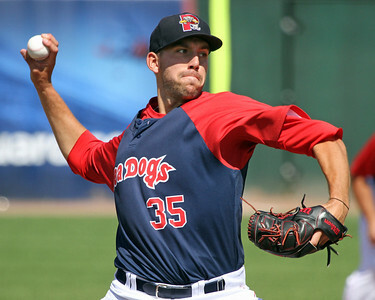 Among pitchers with at least 80 innings, Diaz led the organization in ERA (1.96) and WHIP (1.08), while placing in the top five in BB/9 (2.14) and wins (nine). Season in Review: After being selected in the second round of the 2012 draft by the Red Sox, Callahan pitched just 8 2/3 innings last season in the GCL. 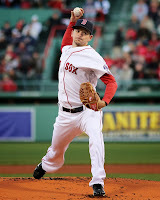 He impressed with the Lowell Spinners in 2013, however, striking out 54 batters in 59 2/3 innings pitched. Following a strong first start and a few bumps in the road in early July, Callahan caught fire just before August, striking out 17 batters and giving up just one hit while facing the minimum in 12 innings over two starts. These two outings earned him two straight Pitcher of the Week Awards on both SoxProspects.com and in the New York-Penn League, and started a stretch of eight starts to end the year in which he allowed 24 hits and eight walks over 38 innings, striking out 39 batters and posting a 2.84 ERA. Season in Review: After a lost 2012, Kukuk spent 2013 getting his first taste of full-season ball with the Drive. He was able to log 107 innings after getting just 10 innings in the GCL last year, and he was also able to strike out more than a batter an inning. He hit a particularly rough patch in a two-start stretch in May, failing to get out of the first inning in either appearance. Although he gave up just a single hit in each start, he walked eight and hit another batter in just 1 1/3 combined, throwing 38 strikes in 91 pitches. Two games pitching out of the bullpen to follow that, however, seemed to straighten him out some, and he followed with his best start on June 10, when he went 5 1/3 innings, striking out nine, while allowing only two hits and three walks. As impressive as his strikeout totals were, he finished with an unimpressive walk total of 81, due in part to nine starts in which he walked at least a batter an inning. 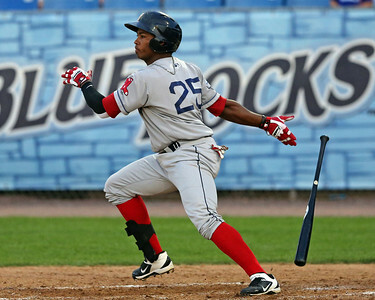 Season in Review: After finishing 2012 with Triple-A Pawtucket, Butler returned to the PawSox for the 2013 campaign. The 26-year-old made strides at the plate, hitting a career-best 14 home runs while continuing to have a penchant for getting on base. Splitting time with Ryan Lavarnway to start the season, Butler got off to a pedestrian .218/.329/.370 start in his first 36 games. However, once he took over full-time starting duties behind the dish, Butler took off, hitting .294/.366/.558 the rest of the way, clubbing 11 home runs in 48 games. 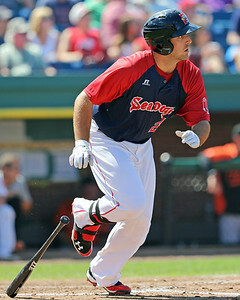 Butler got hot enough in July, hitting .362/.464/.690 with five home runs and 11 RBI, that he was named the SoxProspects.com Player of the Month. The fall leagues kicked off this week, with the Arizona Fall League, Venezuelan Winter League, and the Mexican Pacific League all beginning games. The Dominican Winter League begins play on October 18, and the Roberto Clemente (Puerto Rico) Baseball League begins on November 1. This is the first in our series of weekly roundups of the Fall/Winter Leagues, and look for coverage to continue every Monday morning into January. This week's roundup covers the period of October 7-13. Games started on October 8, with eight Red Sox prospects seeing action for the Surprise Saguaros. Mookie Betts has played both second base and shortstop, going 3 for 9 with a walk and two stolen bases. Fellow top prospect Garin Cecchini is hitless in his first eight at-bats, but has walked three times and also stolen two bases. Season in Review: After signing in 2012 for $400,000, McGrath made his pro debut in 2013, and it did not take long for the young 6-foot-3 left-hander to prove he belonged. Named the GCL opening day starter, he needed just four starts to show he was ready to move on, allowing only three earned runs on eight hits and six walks over 20 innings, while striking out 30. Based on that strong start, the Red Sox promoted the 18 year-old to short-season Lowell on July 19, where he went 3-3 with a 4.86 ERA and 1.26 WHIP and 35 strikeouts to 13 walks over 33 1/3 innings. Perhaps most impressive was the streak of 25 consecutive batters he retired over four appearances from July 26 to August 18. He tailed off a bit in his last few starts, but overall, it was a strong season for the 18-year-old Aussie. The numbers at Lowell were not quite as dominant, but the strikeout rate remained strong and the overall performance was enough to win McGrath the SoxProspects.com Rookie of the Year award. Season in Review: After he was selected in the fourth round by the Red Sox out of NAIA Lee University, things got off to a bumpy start for Smith. He was the last of Boston's top 10 picks to sign amid unconfirmed rumors about either side of the negotiations reneging on an agreed-to bonus, and he eventually received a $400,000 signing bonus the day before the signing deadline. However, once he started pitching, things took off for the right-hander, who had only committed to pitching full-time in 2012. In four, two-inning starts in the Gulf Coast League, Smith allowed just three baserunners, on a single, a hit-by-pitch, and a fielding error, while striking out eight. That dominant performance earned him a promotion to Lowell for one start, the Spinners' final game of the season, and he gave up two runs on four hits, striking out three in 2 2/3 innings. For the next five weeks, SoxProspects.com will count down its end-of-season top 40 prospects, recapping their seasons and looking at what's ahead for them in 2014. Please note that we will be using the site's official end-of-season rankings, meaning that any moves after September 28 will not be reflected in the countdown. You can find all of the entries in this year's series here. 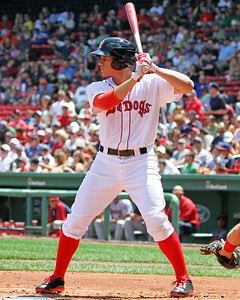 Season in Review: While he was not selected until the 30th round, Longhi was one of the most exciting players to join the Red Sox organization in 2013. 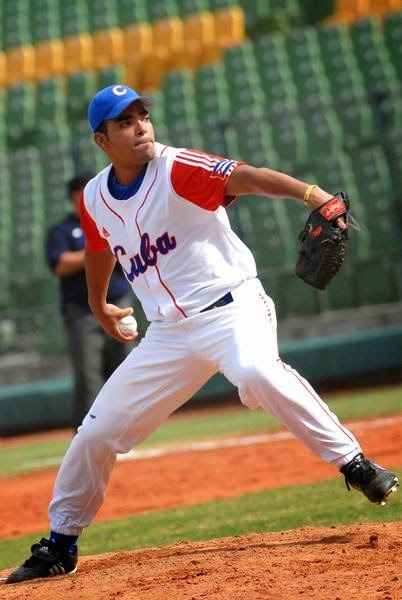 Longhi was ranked as a top-300 prospect in the 2013 draft class by Baseball America, but fell because teams were worried that he would be a tough sign. Indeed, it took $440,000, the fourth-highest bonus handed out by the Sox, for Longhi to forgo his commitment to LSU. With only 50 professional plate appearances, it is tough to read much from Longhi’s 2013 stat line, but it is worth noting that six of his eight hits went for extra bases, reflecting his plus power potential. 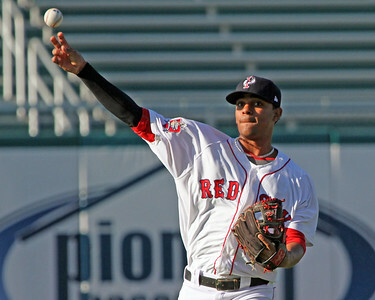 Longhi split his time with the GCL Red Sox between left field and first base, where he got six appearances apiece. FORT MYERS, Fla. -- A couple weeks ago, I got the chance to attend a couple days of the first week of the Fall Instructional League, better known as Instructs. Although much of what I was able to see was originally posted on Twitter, what follows is a compendium of what I was able to catch over the two days. Forgive me if this is light on hitter information. On Saturday, the Twins threw stud prospect (and former Red Sox draftee) Alex Meyer for the first three innings, keeping the right-hander ready for the Arizona Fall League. He was sitting in the mid-to-high 90s—there were gasps from the pitchers behind the backstop when he hit 99 mph—with a great slider and change in the mid-80s, so the Low A-and-below lineup fielded by the Sox stood NO chance. He struck out six in three innings, giving up just one hit and one walk. The Twins followed with Alex Wimmers, a former first-round pick who has, like Meyer, reached Double-A. However, he is coming back from Tommy John surgery and looked it, sitting in the mid-80s. So generally, it was hard to take much from Red Sox players’ at-bats for the first six innings, for opposite reasons. This week, members of the SoxProspects.com brass are posting their end-of-season Top 40 rankings and answering some questions about their lists. We'll release our aggregate rankings on Friday as well, so don't worry if some of the player-specific questions about being high or low on players don't make sense yet. Bringing you his list for Hump Day is Managing Editor Matt Huegel. This week, members of the SoxProspects.com brass are posting their end-of-season Top 40 rankings and answering some questions about their lists. We'll release our aggregate rankings on Friday as well, so don't worry if some of the player-specific questions about being high or low on players don't make sense yet. Bringing you today’s list is Executive Editor Chris Hatfield.